My recent project was to build an html5 app on top of Salesforce1. As usual after the development is complete we send it to QA for approval. And then they log this bug. Almost 10 years ago, when I started developing websites, I kind of aware of this bug and I ignored it because, I did not know the solution and I never expected any valid/meaningful users would enter such junk values. tag was most used one in webpages. All then dev forums are either ignoring it saying there are no acceptable solutions. When I learnt about CSS I discovered the gem called _overflow:hidden_and waited for I started overusing this property. 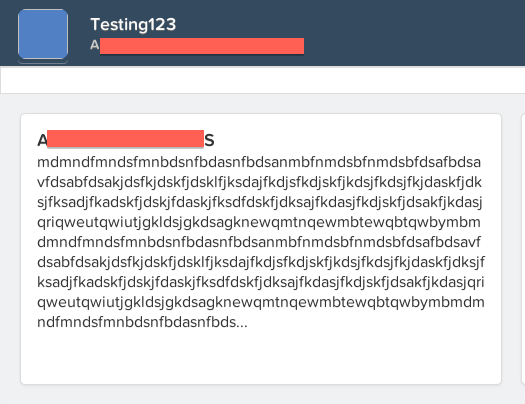 But the testers still log an issue related to this, not all the entered text are visible. To summarise, this is the bug which shoots my blood-pressure as high as Mount Himalayas. Because I get this even before the functionalities are tested. Matter of the fact, I just can’t set text-overflow:ellipsis to all in my normalize.css or reset.css because this is not expected from any useful data.